executives over the phone and talked unsuspecting card users into sharing their debit-card details for illicit online deals in the middle of their conversations. It may be noted that in each of these cases, the accused took advantage of the fact that their victims were unaware of or forgot the one basic rule of modern banking: never share your card details with anyone, including bank officials. The Reserve Bank of India (RBI) has instructed banks not to ask for card-or account-related details from their customers. Cardholders usually give their card and PIN to their family member, or other people, requesting them to withdraw cash for them. Sharing your card and PIN is like giving the key to your account and your hard-earned money. 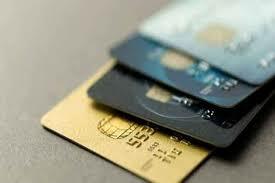 Never write the PIN on the back of your card, or keep the PIN mailer along with the card. Besides a PIN can be changed to make it more memorable but the numbers chosen must not be easy for another person to guess. For example, try to avoid the birthday of a loved one or your own or your wedding anniversary. Keep a PIN that is easy for you to remember but difficult others to guess. According to the banking regulator rules, all banks have to send alerts to customers for debit and credit card transactions. So, make sure that you register a current mobile number and email ID with your bank. It will send prompt notification of debit and credit card transactions on your mobile and email. Avoid responding to any e-mail/ SMS/ voice call apparently from your bank that seeks you to disclose some details of your account, PINs, Passwords, OTPs, UPI credentials validation message and so on for some services not to be discontinued or to validate some of your credentials/ data. Get in touch with the bank or try to call the published number of your bank's helpline number printed on the back of the card or the bank’s statement etc. Cardholders should frequently scan their bank account statements for any suspected activity. There are cases of impostors withdrawing small amounts of money at regular intervals from many bank accounts, and such dealings usually go unnoticed. Customers should report any kind of fraudulent activity with the bank immediately. People must bring it to the notice of the bank even if it is not a loss of money because data theft is equally dangerous. Meanwhile, in an attempt to give more security in card transactions, the central bank has encouraged the use of tokenisation for debit cards, credit cards and prepaid cards. Tokenisation refers to a process in which a unique token hides sensitive card details.